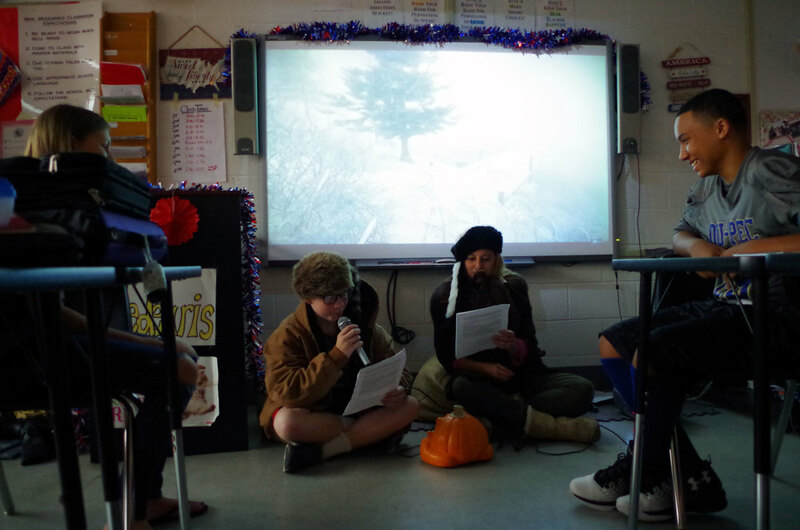 Mrs. Medearis performed a Lewis and Clark Expedition skit in each of her 8th grade Social Studies classes on Tuesday, October 2. The room was cool and dark. The background scene on the smart board was snowy and sounds of wind whirled around the students. Lewis (Mrs. Medearis) and Clark (student) recollected their Expedition from May 1804 to September 1806. The students were then asked to write everything they remembered from the skit. Mrs. Medearis wore a cute mustache and the student’s wore a cool Daniel Boone hat.